What does a class consist of you might ask? Well, you have certified instructors from KCBS who review competition rules and instruct you on what you should be looking for as a judge and how to judge objectively. 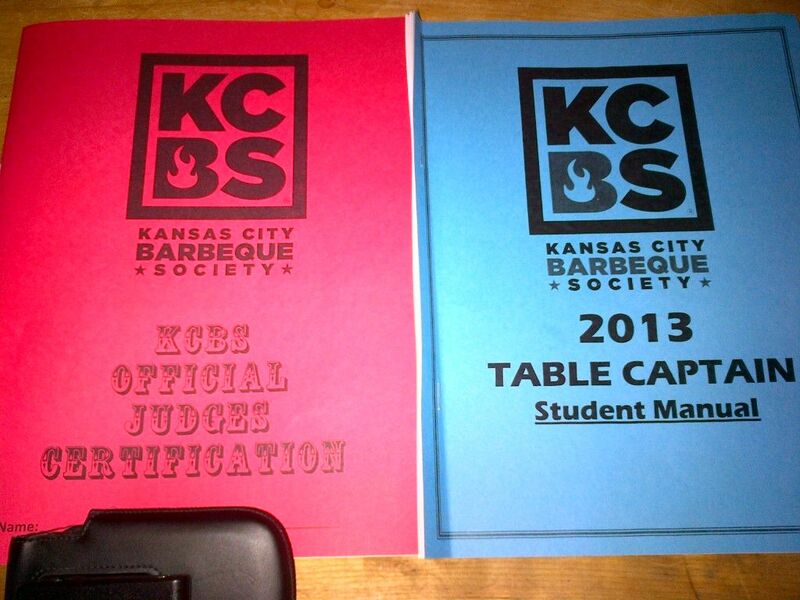 You also review protocol and how to interact with your Table Judge and the other judges at the table. After the power point presentation, a local BBQ team provided the four KCBS categories so that we could judge real food first hand. Half of the BBQ was good and half bad on purpose. They also slipped in some illegal boxes to see if we would catch them. I must say, Hope is better at catching the illegal boxes than I am. Why take the class? As an active competition team, we wanted to see things from the judges point of view to see if we can improve our scores this year. One big help were our instructors, Carole and Randy Bigler, competitors themselves for many years. They were quite helpful with tips on what judges are looking for on the circuit. If you are a team and are looking to take a class, I would recommend doing so with Carole and Randy. Finally, we also learned that if you want to become a Master KCBS Judge, you have to judge 30 events and cook with a team. So, if anyone out there is looking for a team to cook with this year for your Master Judge certification, please feel free to contact us. We would be glad to help you put the signature in your book. I will cook with your team. Ms. Goofy and I cooked with 'Butchers Daughter' last July for our Master Judge requirement. Grand Champions!!!!!!! My first and only competition cook. The bar is raised high.